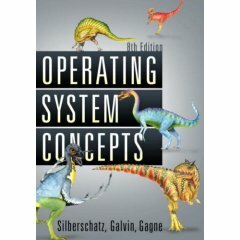 I thought it would be fun / informative to post the covers of the history Operating System Concepts. 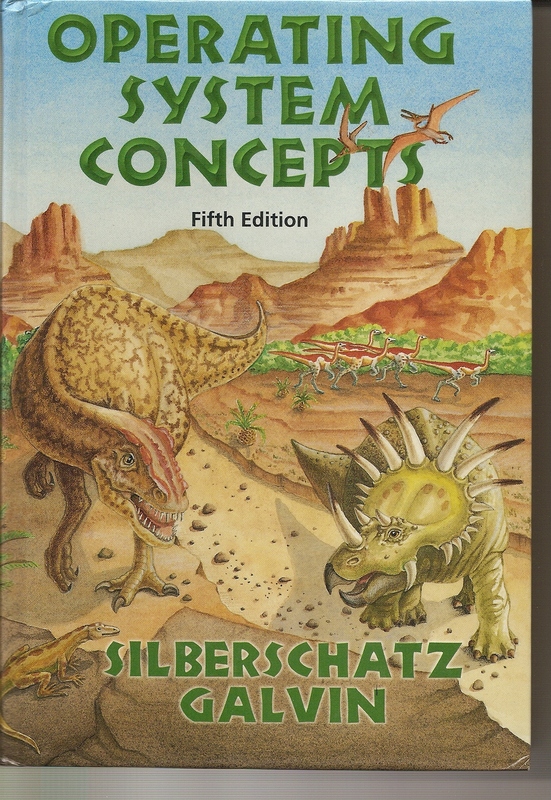 The general name for the series is “the dinosaur book” although the covers have included non-dinos as well. 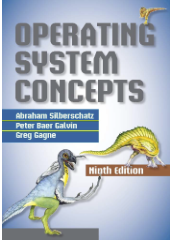 As far as we know this series is the best-selling operating system textbook. 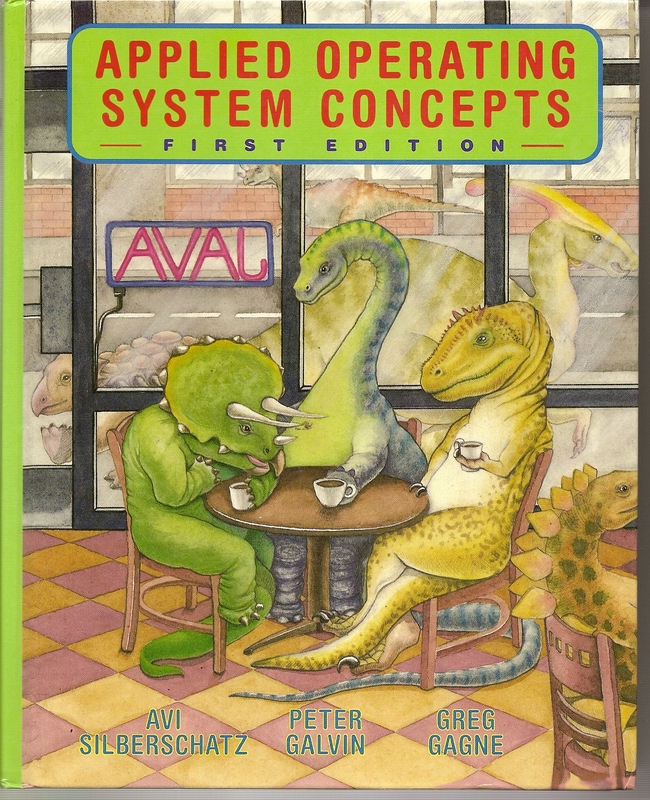 The critters on the cover indicate both the evolution of operating systems and the ongoing “OS wars”. 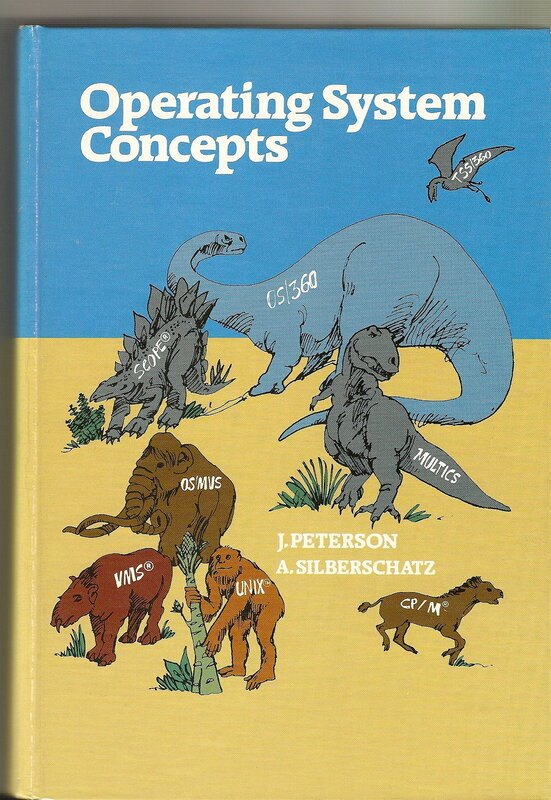 I became a co-author on this book in its Third Edition, after it was well established as one of the leading operating systems textbooks by James Peterson and Avi Silberschatz. Over time Peterson went on to other things and Avi and I were joined by Greg Gagne. The First Edition was published in 1983 and was 548 pages long. 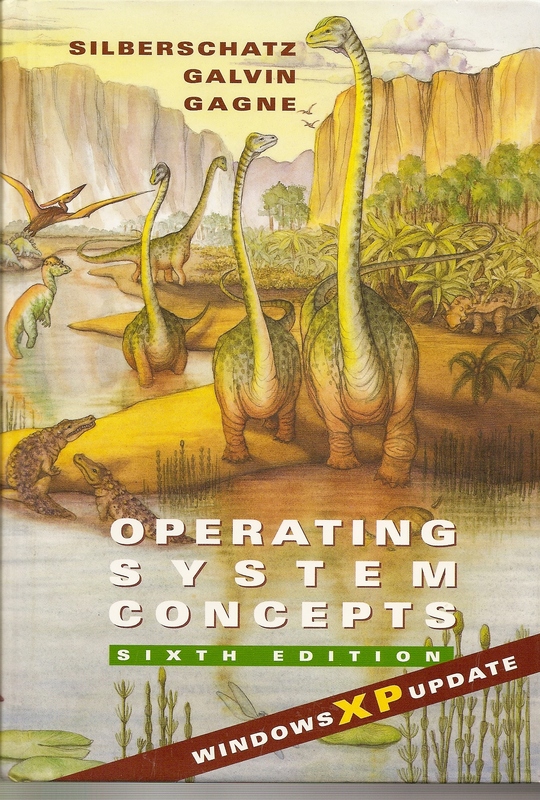 On its cover were dinosaurs and mammals labeled with the names of the important operating systems of the time, including OS/360, Multics, Scope, OS/MVS, VMS, UNIX, and CP/M. The book was a break-through because it covered not one operating system but abstracted key operating system features and used specific operating systems to illustrate those concepts. This method is still the one employed in the current edition. 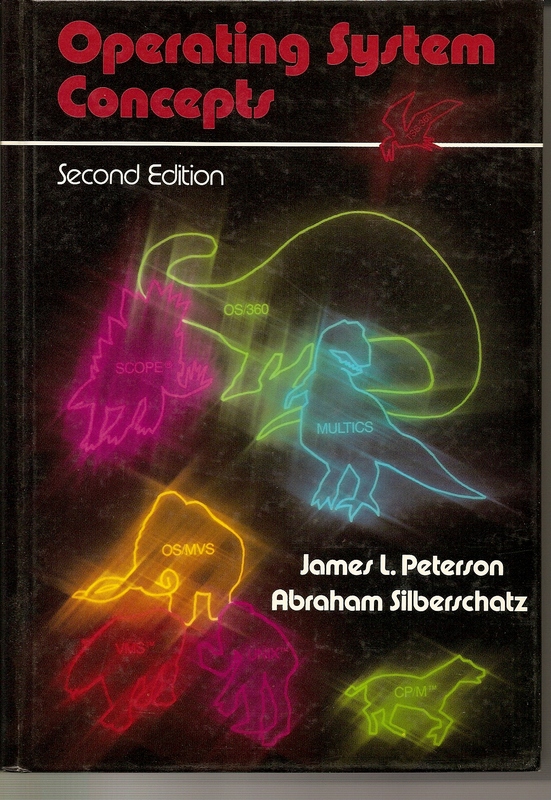 The Second Edition went disco with the same dinos and mammals but this time lit up in neon. 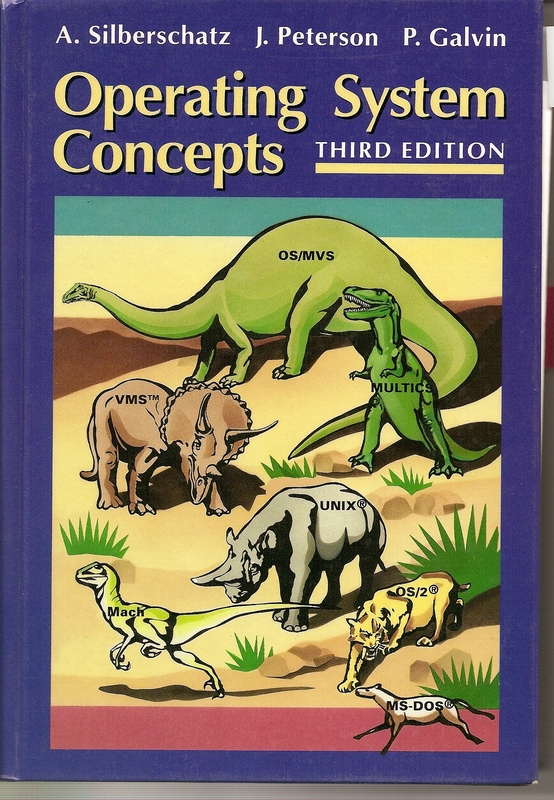 The Third Edition updated the creatures and showed the following operating systems on the cover: OS/MVS, Multics, VMS, UNIX, OS/2, Mach, and MS-DOS. 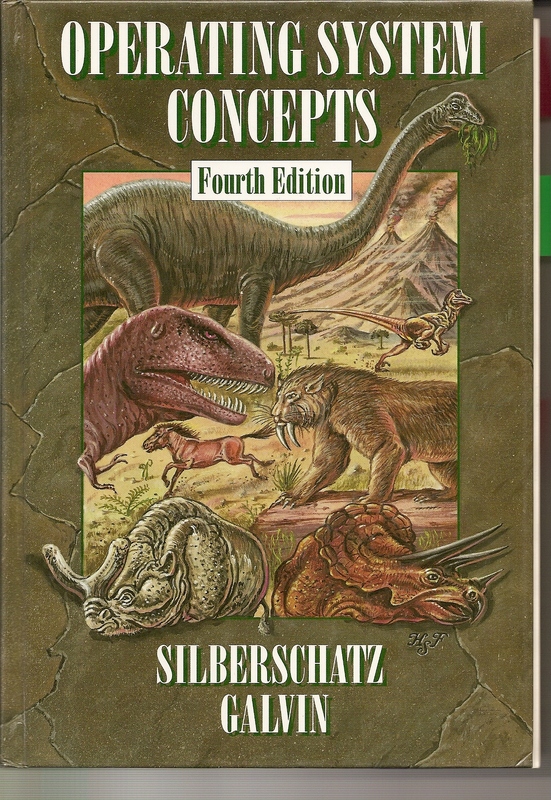 For the Fourth Edition we decided to stop labeling the animals on the cover, but on the inside of the cover we had descriptions of the animals as well as a time-line of operating system evolution. I thought that was cool. The same theme was in the Fifth Edition as well. The Sixth Edition had the animal information but stopped including the timeline. 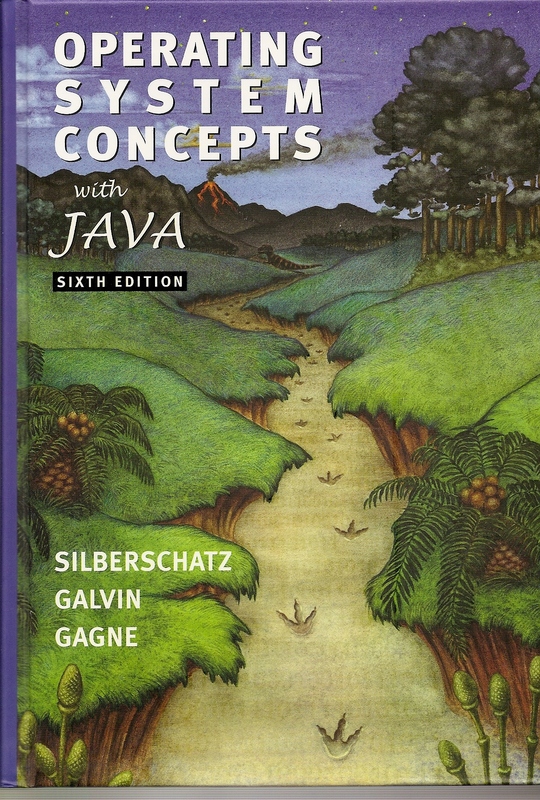 Along the way we published alternate versions of the book that used Java as the descriptive language and for exercises and projects. For more information on the current OSC, including sample exercises, errata, and teaching aids, check out the text home page.